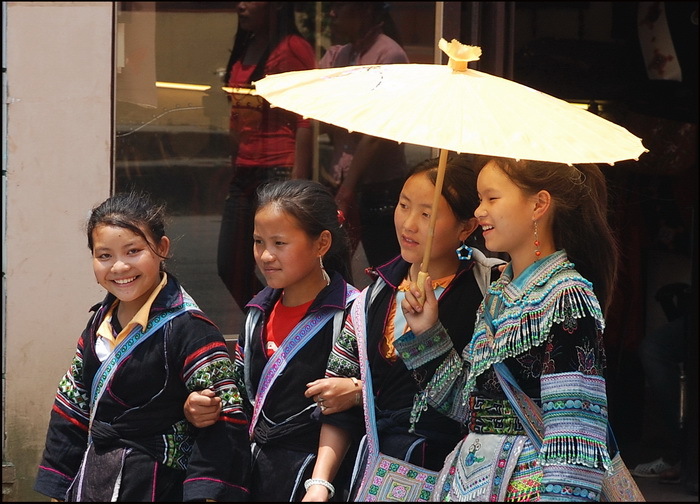 The Black Hmong sub group of Northern Vietnam are particularly well known due to Sapa’splace on the well-trodden tourist trail. Although the town itself is actually inhabited by Vietnamese traders and cafe and hotel staff Sapa is totally swamped on most days by Hmong from the surrounding villages. You’ll also come across the distinctively dressed Red Dzao, the more discreet Tsay, maybe some Flower Hmong or White Hmong and perhaps even the occasional Black Dzao. Weekends will see an influx of Hanoi Yuppies with a continuous trickle of Western backpackers and tour groups but check-out the market or the main street and the population will seem predominantly Black Hmong. 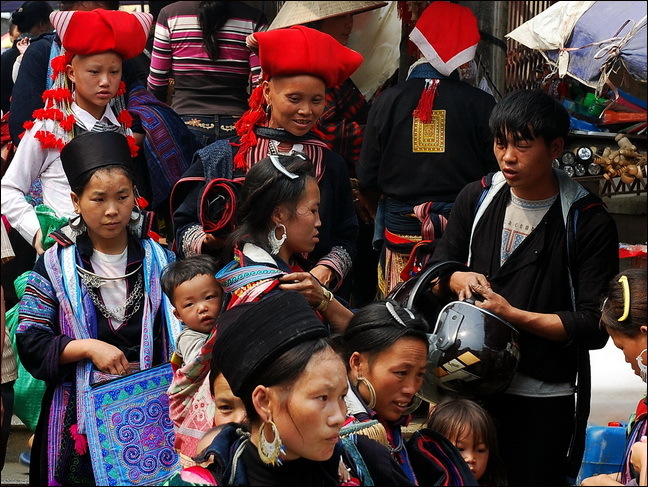 It’s symptomatic of Hmong clan distribution – you travel 100kms east to Bac Ha and nearly all Hmong are of the ‘Flower’ sub-group or go 100 kms west to Lai Chau and all of sudden you’ll be surrounded by Red Hmong villages. On migrating into the area, the different clans pegged out their territory, and have moved or intermingled very little since. (Note unlike Thai Hmong groups who are relatively recent arrivals Vietnamese Hmong have been inhabiting these northern mountains for at least a couple of hundred years.) 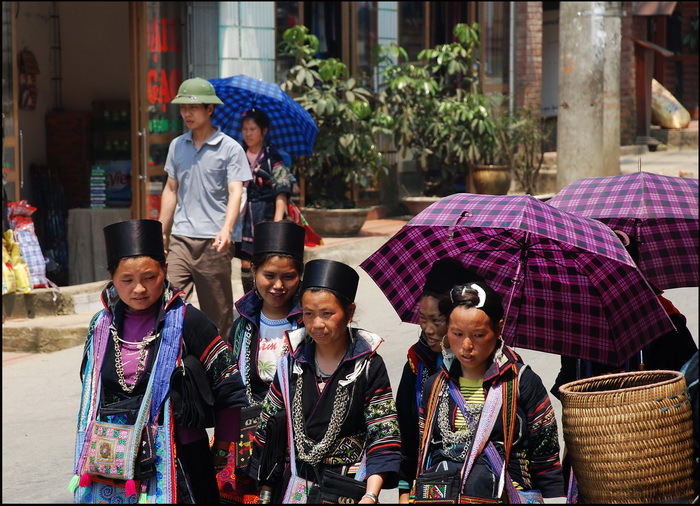 Even within Lao Cai Province Black Hmong villages are restricted to a relatively small area. They’re unusual, even amongst the most traditional hill-tribes, in that not only the women but men and kids also often wear traditional costume. 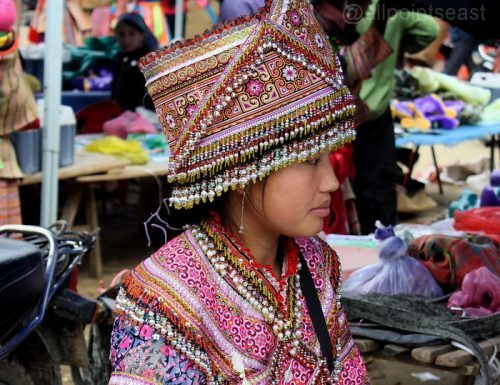 There’s not many Hmong groups where you’d see teenage boys wearing Hmong garb and that’s not only a case of just getting dressed up for tourists or to show off in Sapa market – visit some of the surrounding villages and you’ll see. 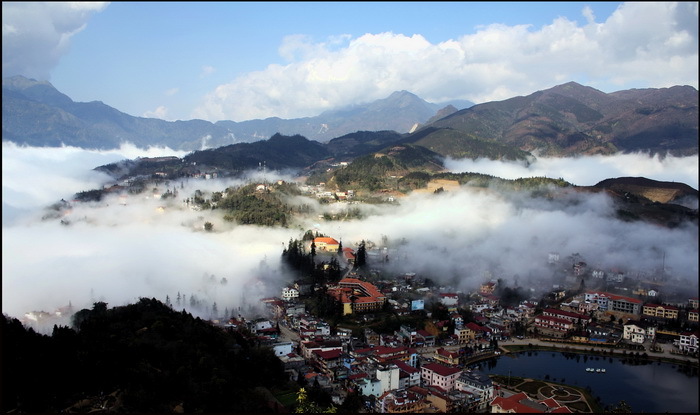 A 3 day stay in Sapa is included in All Points East’s ‘Mountains and Hill-tribes‘ tour. Cheers!